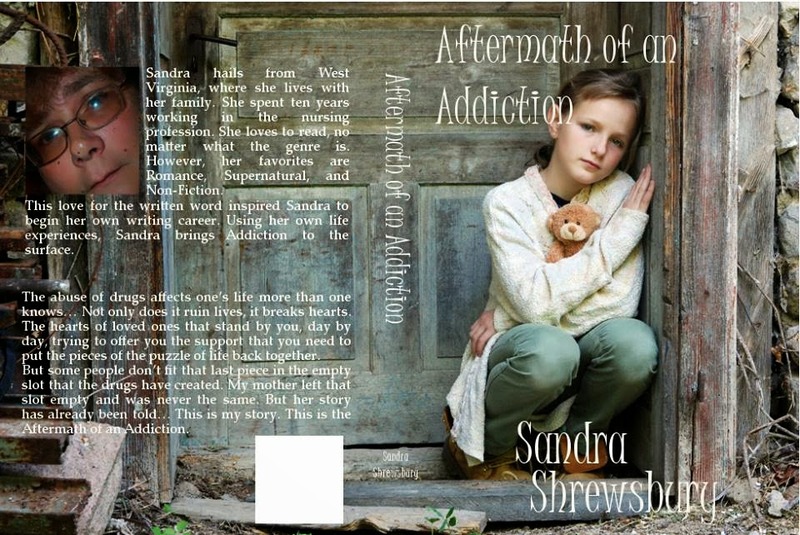 Come check out this beautiful cover for Sandra Shewbury's Aftermath of an Addiction! Blurb: The abuse of drugs affects one’s life more than one knows… Not only does it ruin lives, it breaks hearts. The hearts of loved ones that stand by you day by day, trying to offer you the support that you need to put the pieces of the puzzle of life back together. But some people don’t fit that last piece in the empty slot that the drugs have created. My mother left that slot empty and was never the same. But her story has already been told… This is my story. This is the Aftermath of an Addiction.